Week 8: Laughing with the Droid - Week 8: Laughter. 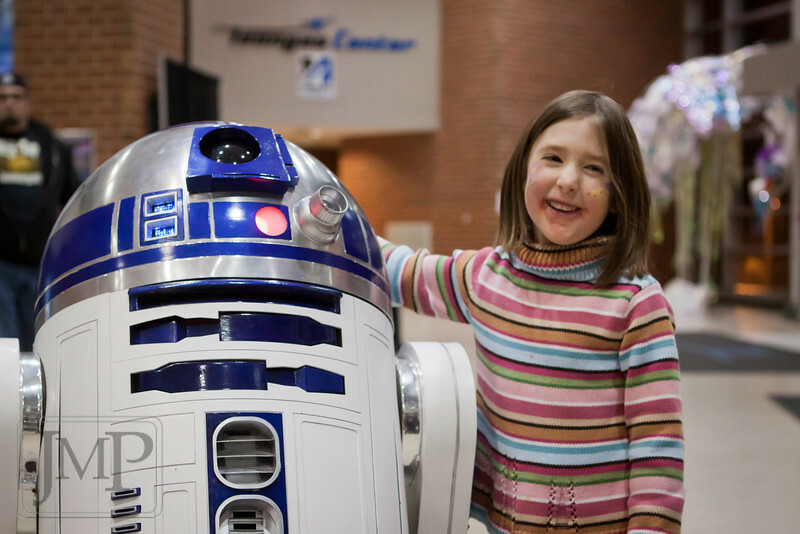 This week I present my daughter, with R2D2, at a hockey game. What could be more laughable than that? Not the best photo I've taken, but it was a moment worthy of meeting the "laughter" theme.